The top pops off and all the electronics are on one side of the chassis while all the tubes are on the other. All components are mounted to tag strips or to the tube sockets or pots. Power supply is propped up on the left of the chassis but it actually sits at the bottom of the enclosure screwed down into the cabinet. 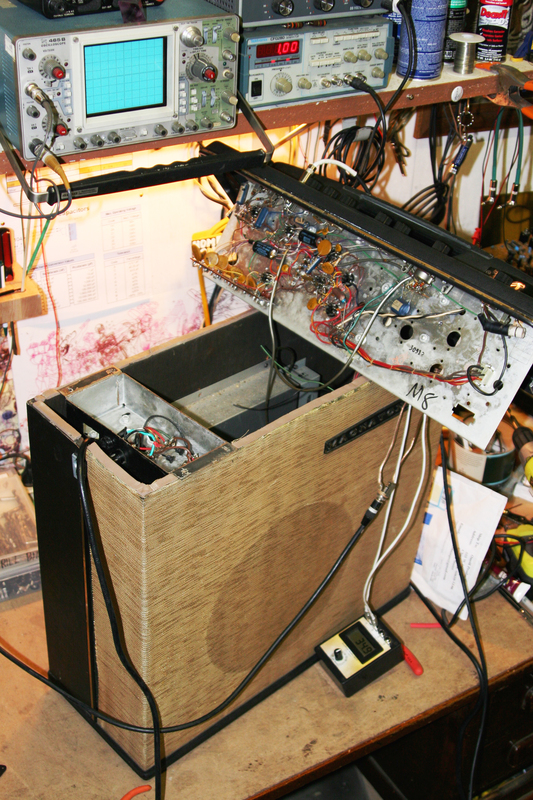 Amp had a torn speaker, AC cord inlet was broken, and had a wrong tube in the 12DW7 position. It’s basically an untouched old relic but it still works once these little problems were tackled. 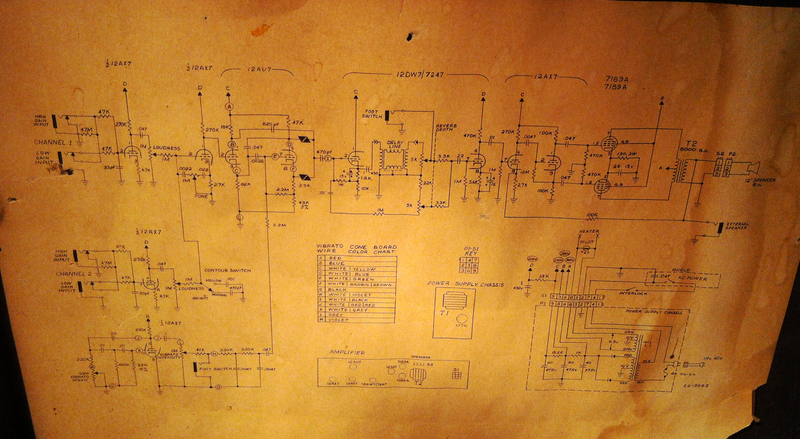 Magnatone M8 schematic. Like a lot of old gear the schematic is pasted inside the chassis so a service person can reference it one day. 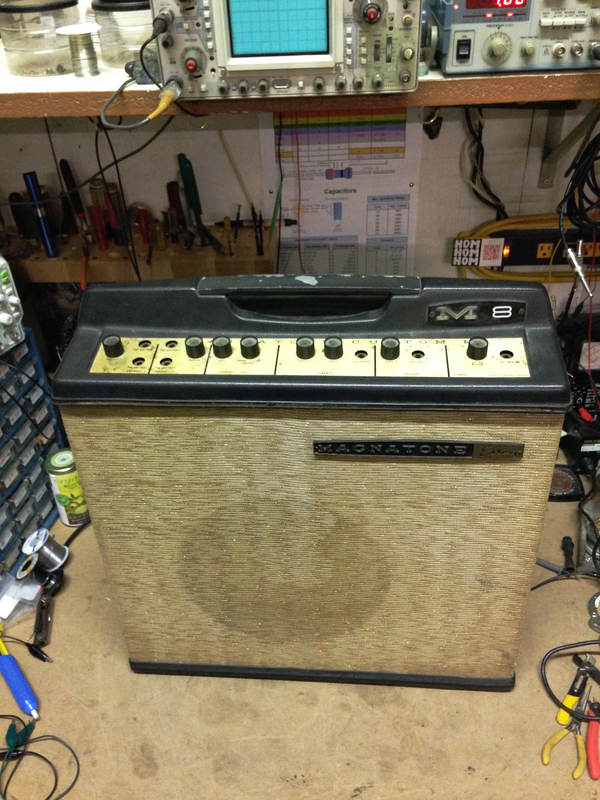 The magnatoneamps.com site has a wealth of knowledge on this and other Magnatone amps. More info and better schematic for the Magnatone M8 here.